Orlando, FL – October 2016 – Multicom, Inc. a premier Traffic Control Product distributor is featuring its next generation Traffic Control Networking Product line with Fiber Optic Actives and Passives product line, based on Corning fiber, to be showcased at 2016 IMSA Florida Section Conference, in St. Pete Beach, FL, October 10-13, 2016. Multicom is announcing its next generation Fiber Optic Actives and Passives with details on the Multicom website and at the show. Multicom is also announcing a whole new multimode fiber optic based product line, including installation and instrumentation products: Multicom automated Fusion Splicer, OTDR, and more – available now. 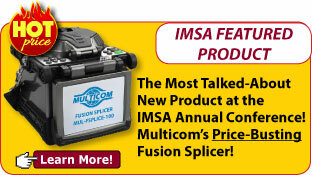 The next generation, feature-rich, value-priced Multicom brand fiber optic product line also includes the new price-busting Fusion Splicer which lit-up the 2016 IMSA Annual Conference. Also Multicom features optical transmitters, standard and high power 1550nm EDFAs, optical receivers, standard and high power and receive-only Micro-Nodes, and a variety of Corning-fiber-based passives, splitters, WDMs,patch and splice enclosures, and OFS, DRAKA, and Corning fiber optic cable. 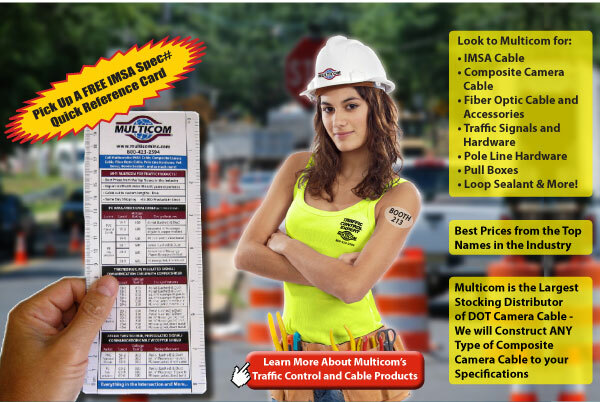 “Multicom is proud to provide state-of-the-art, Wireless/IT/fiber optic end-to-end solutions for Traffic Control and data-voice-video networks.“ said Raymond Shedden, Multicom’s Director of Marketing and Sales. Established in 1982 and headquartered in Orlando, FL, Multicom maintains sales offices, rep agencies and sub-distributors throughout North and Latin America. Multicom stocks over 16,000 products from more than 270 of the world’s major manufacturers which are used to acquire, process, and distribute audio, voice, video, data, energy, and traffic control signals over fiber optic, copper, coax cable, and wireless. Its affiliate company, Mconnect, Inc. provides Next Level VoIP residential and business telephone services through resellers and cable operators.